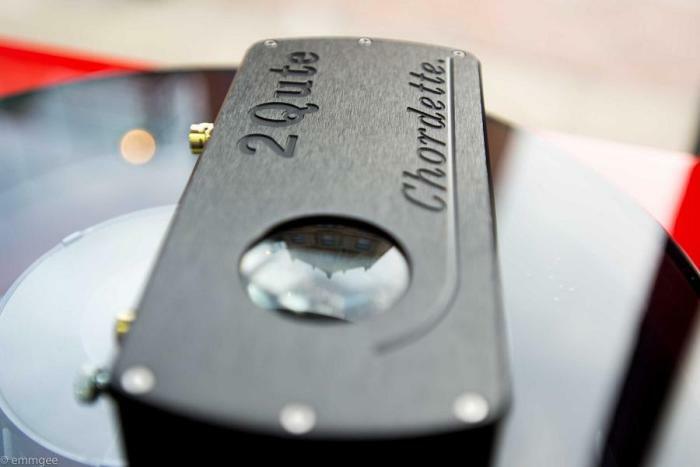 Chord Electronics 2Qute DAC arrives in Manchester. 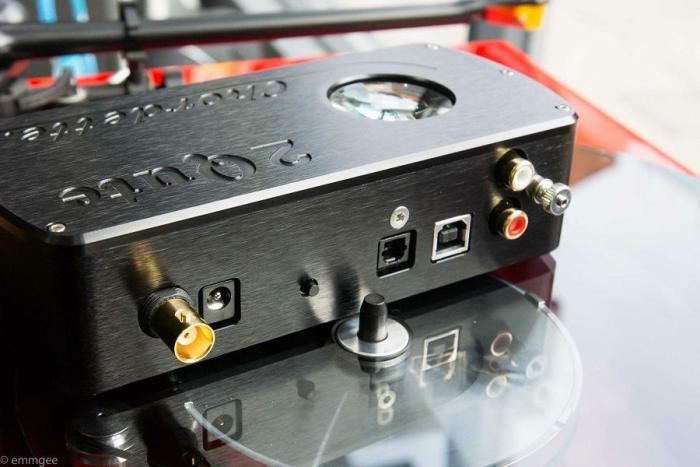 The Chord Electronics 2Qute DAC ! !...Chromey's really getting in to it...literally. 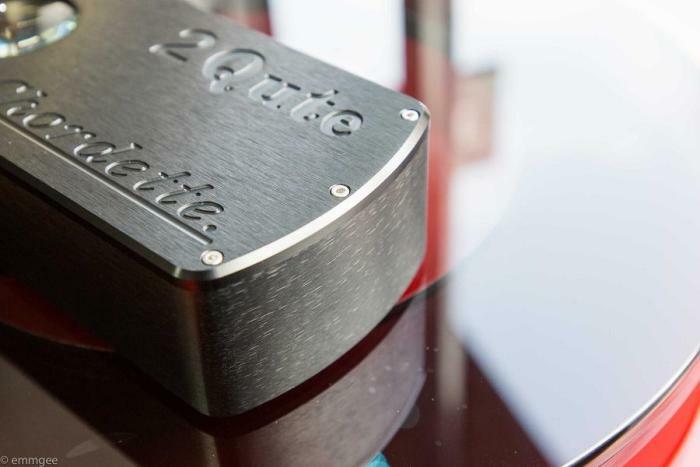 The 2Qute arrives at Audio-T Manchester and is entertaining us way beyond it's qute dimensions imply. nicely in their review of Hugo here. Hifi World also got there mitts on one and review it here. 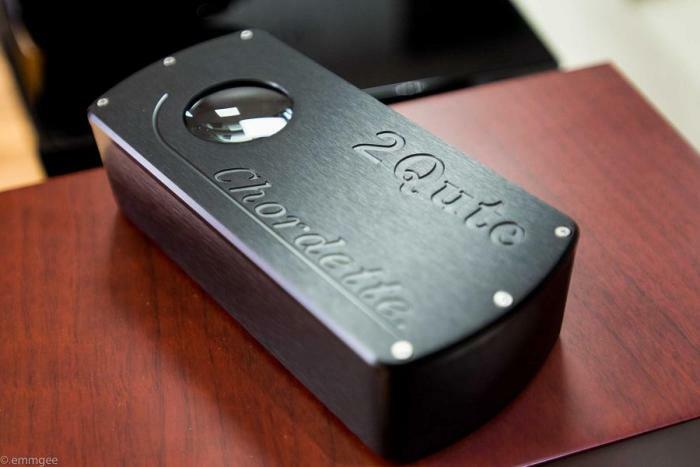 The Chord 2Qute DAC has some similar traits in the sound quality and you could argue that it a sounds a little bit tighter in the bass department. Everything the Hugo is good at, such as timing and detail are evident in the Qute. A big, wide open sound stage and an openess that lends itself nicely to some of the bigger systems we have running at the store. Gone is the headphone output,battery operation and bluetooth connection but it retains the same engine room as the Chord Hugo. A dedicated BNC type coaxial digital input reflects it's desktop credentials. Around the back is a "USB B" asynchronous connection for all your lush 24bit files that maybe stored on your Mac or PC. An optical input also makes up the family of digital connections on the rear. 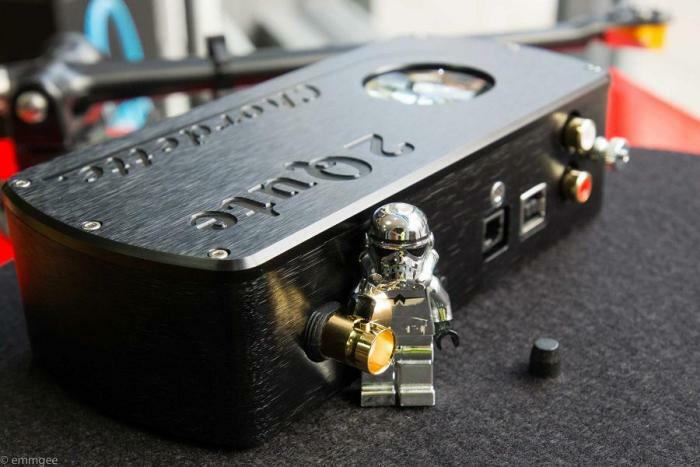 The beautiful case work is typical of all the products from Chord Electronics. 2 Legit 2 Qute (hey...hey...) 2 Legit 2 Quit. It may be Qute, however, be warned!!! It punches way above its weight. 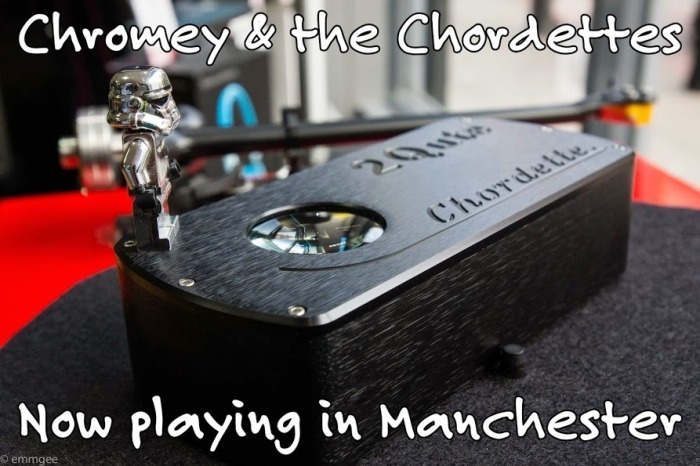 ...so come along to our store in Manchester and take the 2Qute for a spin. See you in store soon. Munir, Kevin, Mike and Dave.